Lot 1. Bell & Howell 16mm 240EE Movie Camera No. BB63590. Provenance: The Kaprelian Camera Collection, Philadelphia, PA. Lot 2. Eumig C16 16mm Movie Camera (Serial No. 501564) with leather case, Made in Austria. Provenance: The Kaprelian Camera Collection, Philadelphia, PA. Lot 3. Group of Seven Agfa Folding Cameras including Billy-Clack, Billy-Record, Primula and Agfa Memos. Lot 4. Group of Eleven Folding Cameras including Agfa and Ansco. Lot 5. Group of Eleven Folding Cameras including Agfa and Ansco. Lot 6. Group of Ten Agfa Cameras and Two Flashes. Lot 7. Group of Eleven German Made Wirgin Cameras. Including three Wirgin Edixa Cameres with isconar lenses, an Edixa-Flex with Culminar f/2.8 Lens, Edinex I with Radionar Lens and Prontor-S Shutter, Wirgin with Edinar Lens, Wirgin with Cassar Lens and Prontor II Shutter, Wirgin with Xenon Lens and Compur-Rapid Shutter, Two Wirgin Twin Reflex Cameras with Triolar Lenses and Compur Shutters, a Wirgin Folding Camera with Trinar Lens and Compur Shutter. Provenance: The Kaprelian Camera Collection, Philadelphia, PA. Lot 8. Large Group of Seventeen Balda Cameras and one Flash manufactured in Germany by Balda-Werk of Dresden. Including Super Baldina, Super Baldinette (2), Baldinette (2), Baldina, Super Baldax, Jubilette, Baldax (2), Lisette, Balda Fixfocus, Juwella (2) Belfoca, and a Balda B/C Flash. Lot 9. 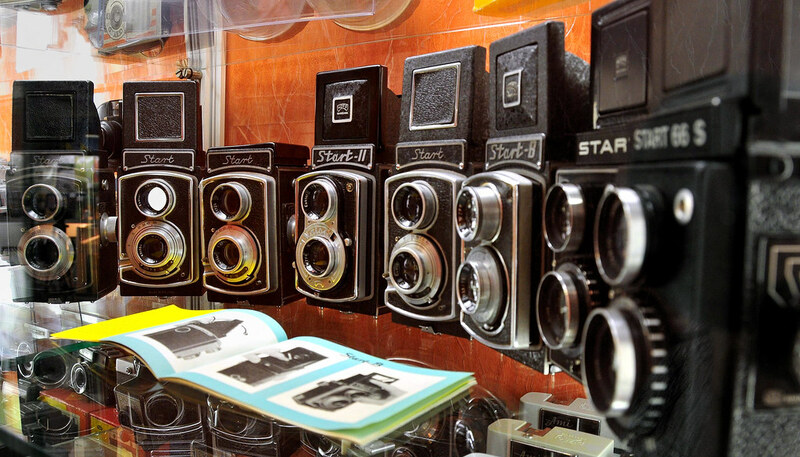 Group of Nine Twin-Lens Reflex Cameras from Various Manufacturers. Including Peerflekta V (2), Start-B, Noco-flex, Lubitel 2, Flexaret, Trumpfreflex, Flexette, and one unknown. Lot 10. Group of Thirteen Folding Cameras from Various Manufacturers. Including Bettax, Welta, Perle. Lot 11. Group of Four Zeiss Ikon Ikoflex Twin-Lens Reflex Cameras (Various Models), Manufactured in Germany. Lot 12. Group of Eleven Folding Cameras by Zeiss Ikon, (Various Models). Manufactured in Germany. Lot 13. Group of Twelve Zeiss Ikon Cameras (Various Models), Manufactured in Germany. Lot 14. Group of Ten Cameras by Zeiss Ikon, (Various Models). Manufactured in Germany. Lot 15. Group of Eight Graflex Cameras (Various Models) and a 120 Roll Film Holder (Graphic “23”). Manufactured by Graflex, Inc. in Rochester, NY. Including Ciro 35 (2), Century 35 A (2), Graphic 35, Graflex 22 Twin-Lens Reflex, Speed Graphic, and Super Speed Graphic. Provenance: The Kaprelian Camera Collection, Philadelphia, PA.
(Serial No. U4868) with No Lens. Provenance: The Kaprelian Camera Collection, Philadelphia, PA. Lot 17. Group of Three Early Graflex Cameras. Manufactured by The Folmer & Schwing Division of Eastman Kodak Company in Rochester, NY. Including Auto Graflex Jr., R.B. Series B Graflex, and Auto Graflex. Provenance: The Kaprelian Camera Collection, Philadelphia, PA. Lot 18. Group of Six Cameras (Various Models). 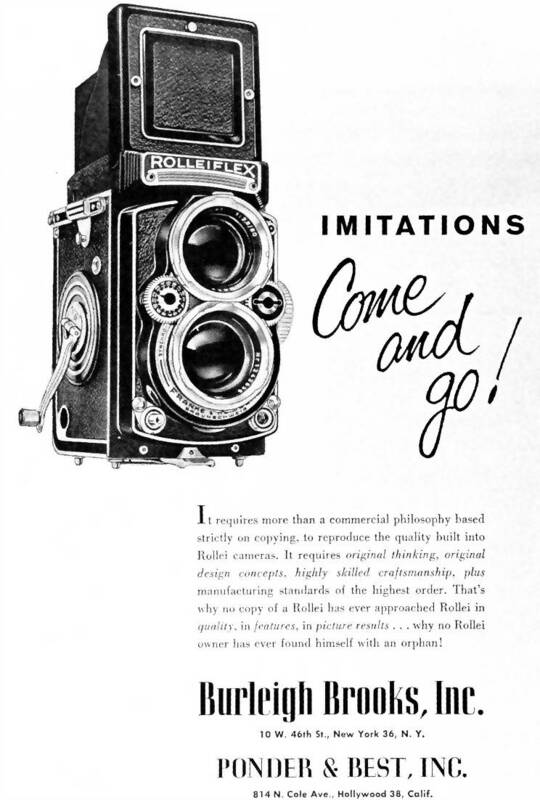 Including Four Ciro-flex Twin-Lens Reflex Cameras Manufactured in Delaware, Ohio, Busch Pressman Manufactured in Chicago, IL and Burke & James (B & J) Press Manufactured in Chicago, IL. Provenance: The Kaprelian Camera Collection, Philadelphia, PA. Lot 19. Group of Seven Argus Cameras Manufactured in Ann Arbor, MI. Including Argoflex E Twin-Lens Reflex, Argoflex 40, Cintar, A-2F (3) (Bakelite Body). Provenance: The Kaprelian Camera Collection, Philadelphia, PA. Lot 20. Group of Nine American Made Cameras. Including Three Detrola Bakelite Cameras, Two Spartus 35 Cameras by Herold, Acro Bakelite Camera, Magni-Vue Falcon Twin Lens Reflex Camera, and Two Rollex 20 Cameras. Provenance: The Kaprelian Camera Collection, Philadelphia, PA. Lot 21. Group of Three Early Graflex Cameras Manufactured by Folmer & Schwing Mfg. Company, Rochester, NY. Including R.B. Graflex- Series B and Auto Graflex. Provenance: The Kaprelian Camera Collection, Philadelphia, PA. Lot 22. Pair of Early Mentor SLR Cameras Manufactured in Germany. Lot 23. Group of Twenty Argus Cameras. Including Argus C-2 (2), C-3 (2), Argoflex E Twin-Lens Reflex (3), V-100, A-Four, C-Twenty, 21, A -2B (Bakelite Body), AF (2) (Bakelite Body), All Manufactured in USA. Manufactured in Japan: Instant Load 284, Electronic 355X, 260 Automatic (3) All 126 Cartridge Film, Argus A Automatic, 35mm. Provenance: The Kaprelian Camera Collection, Philadelphia, PA. Lot 24. Group of Seven Folding Cameras. Manufactured by Dehel and Monte-Carlo. Lot 25. Pair of Reflex-Korelle Cameras manufactured by Franz Kochmann in Dresden, Germany circa 1930’s. 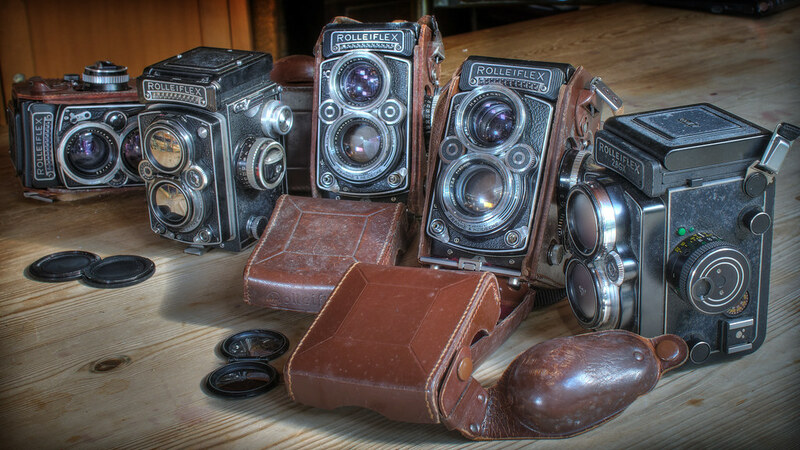 including a pair of Reflex-Korelle Cameras and a Korelle 3×4 cm Folding Camera. A-2B (Bakelite Body), Argus M (Bakelite Body), All Manufactured in USA. Argus Automatic 35, Manufactured in Japan. Provenance: The Kaprelian Camera Collection, Philadelphia, PA. Lot 29. 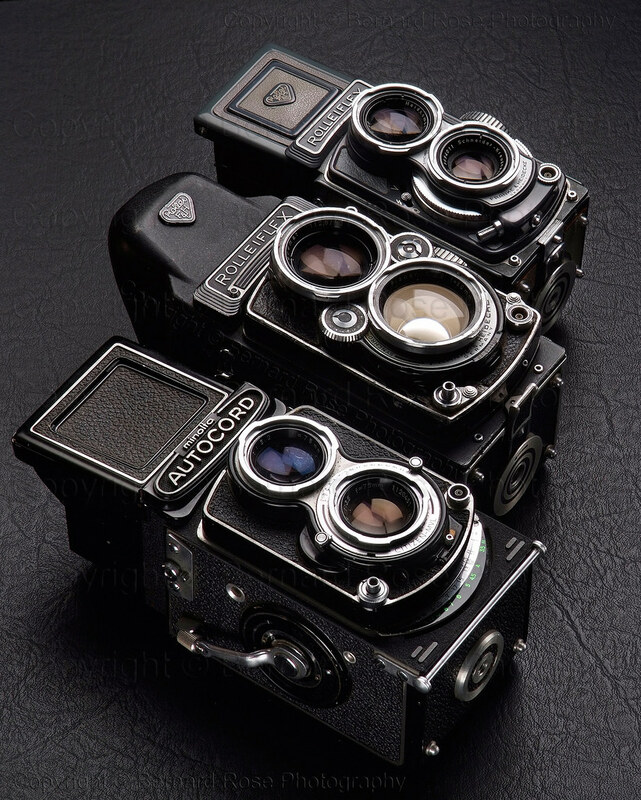 Group of Five Adox Cameras consisting of three folding and two 35mm rangefinder cameras. Lot 30. Pair of Early Mentor SLR Box Cameras Manufactured by Mentor, Goltz, & Brentmann in Dresden, Germany. Including Mentor Compur Reflex with Three Film Holders, Cable Release, Leather Case and Mentor Reflex. Provenance: The Kaprelian Camera Collection, Philadelphia, PA. Lot 31. Plaubel Roll-Op and Makina Cameras, Manufactured in Frankfurt, Germany, both with Anticomar Lenses. Provenance: The Kaprelian Camera Collection, Philadelphia, PA. Lot 32. 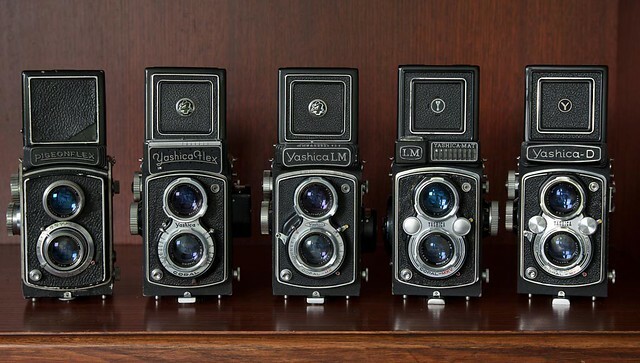 Group of Four Ernemann Folding Plate Cameras. Including Bob IV (Serial No. 1334357), Bob O (Serial No. 231309), Heag O A, and an unknown model with IBSO Shutter, Coronar Lens and UNA plate on the side. Lot 33. 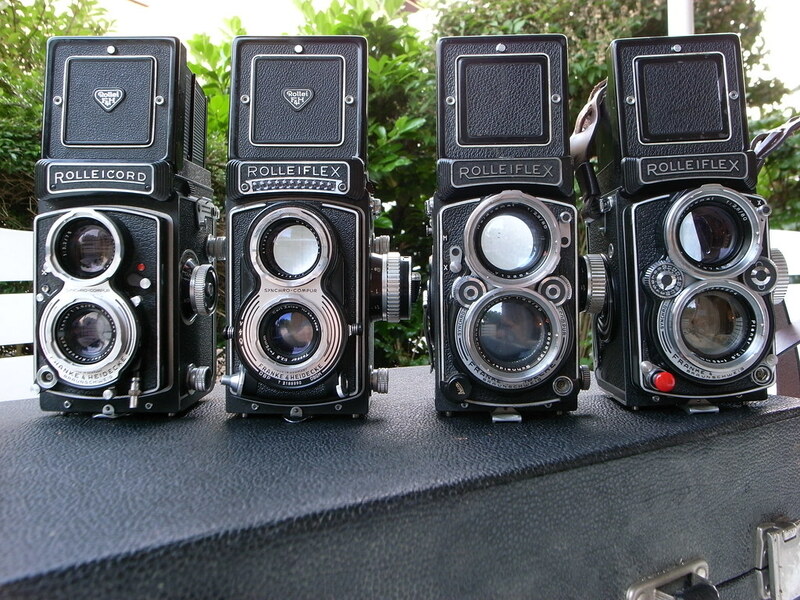 Group of Five Folding Cameras by C. P. Goerz. Manufactured in Berlin, Germany. Including Roll-Tenax (4 X 6.5), Roll-Tenax (8 X 14), Taro Tenax Folding Plate (2), Anschutz Model Folding Strut (Front Plate Cracked). Lot 34. Group of Four Cameras by C. F. Foth & Company. Manufactured in Berlin, Germany. Including Foth-Flex Twin-Lens Reflex, Derby (Original), Derby I, Derby II. Provenance: The Kaprelian Camera Collection, Philadelphia, PA. Lot 35. 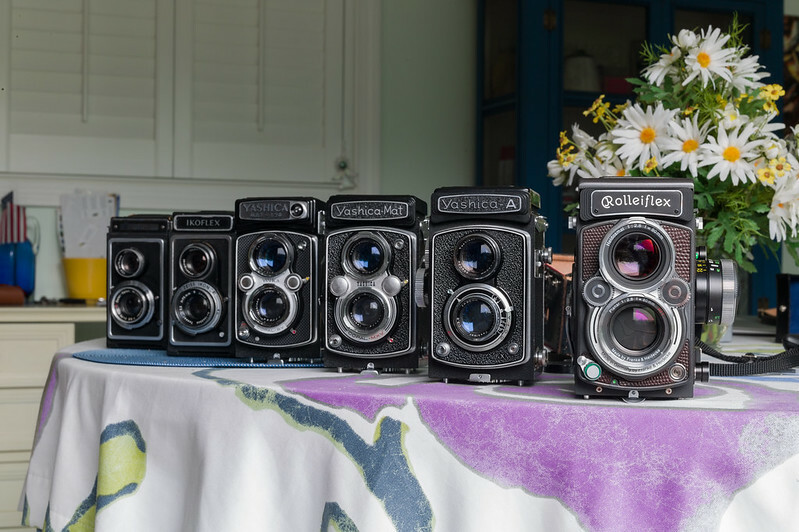 Group of Four Contessa Nettel Folding Cameras including Duroll, Sonnar and two unknown models. Manufactured by Contessa-Nettel AG in Stuttgart, Germany circa 1920s. Lot 36. Group of Five German Folding Roll Film Cameras. Including Voigtländer, Bessa (2), Nagel, Vollenda 68 (6 X 9), Kochmann, Korelle (3 x 4), Kochmann, Korelle (6 X 6). Lot 37. Group of Three Certo Folding Cameras Manufactured in Dresden, Germany. Including Certo Six and 35mm Rangefinders Dollina and Super Dollina II. Provenance: The Kaprelian Camera Collection, Philadelphia, PA. Lot 38. Group of Three Folding Cameras Manufactured by Ihagee in Dresden, Germany. Lot 39. Pair of Exakta Roll Film Cameras, including Exakta V (Serial No. 689599) and Exakta VX (Serial No. 786768) manufactured by Ihagee in Germany. Provenance: The Kaprelian Camera Collection, Philadelphia, PA. Lot 40. Pair of German Roll Film Cameras, including Exakta (Serial No. 572641) and Exa (Serial No. 223862) manufactured by Ihagee in Dresden, Germany. Provenance: The Kaprelian Camera Collection, Philadelphia, PA. Lot 41. Pair of Exakta Roll Film Cameras, including Exakta I (Serial No. 494208) and Exakta VXIIa (Serial No. 984935) manufactured by Ihagee in Germany. Provenance: The Kaprelian Camera Collection, Philadelphia, PA. Lot 42. Group of Four Exakta Roll Film Cameras, including Exakta A (Serial No. 410233), Exakta VXIIa (Serial No. 906491), Exakta VX (Serial No. 728166), Exakta V (Serial No. 681702) manufactured by Ihagee in Germany. Provenance: The Kaprelian Camera Collection, Philadelphia, PA. Lot 43. Group of Three Early Box Cameras from Unknown Manufacturers. Lot 44. Group of Eight Italian Roll Film Cameras from Various Manufacturers. Including Bilora Bella, Bilora Bella 66, Ferrania Lince 2, Perla, Bencini Comet, Closter Princessa, Ferrania Alfa, and Puck. Lot 45. Group of Four Folding Roll-Film Cameras Manufactured by Certo in Dresden, Germany. Including Dolly, Super Dollina II (35mm Rangefinder). Provenance: The Kaprelian Camera Collection, Philadelphia, PA. Lot 46. Group of Four French 35mm Cameras. Including Reyna Cross III, Baby SEM, and two Pontiacs. Lot 47. 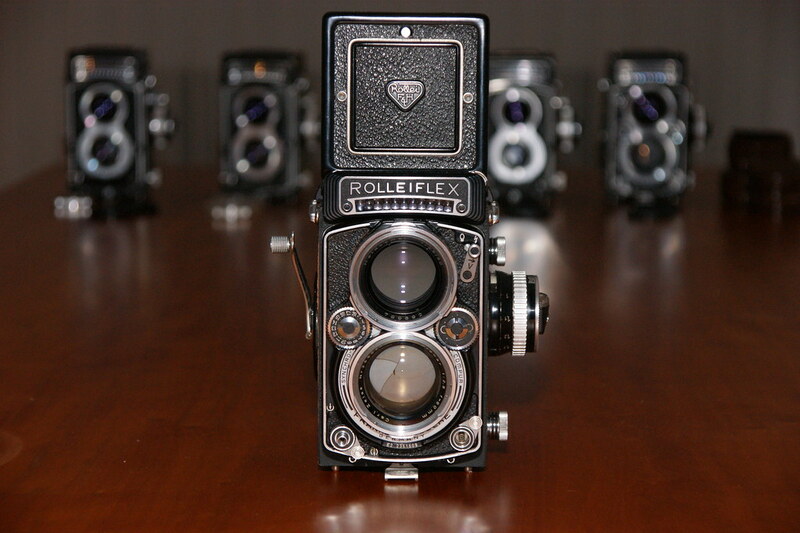 Group of Eight Cameras from Various Manufacturers including Genos Rapid, Gevabox 6×9, Altiflex Twin-Lens Reflex, Kinaflex, Altiflex Eho, Ferrania Elioflex, Lipca Rollop Automatic and Rocca. Lot 48. Pair of 35mm Cameras including Ihagee Parvola and Beira (cracked viewfinder). Lot 49. Group of Eight Folding Roll Film Cameras from Various Manufacturers. Including two Kinax II (6 X 9), Manufactured in Paris, France, Beier Precisa, Manufactured in Germany, Noris, Manufactured in Germany, Rodenstock, Manufactured in Germany and three unknown. Lot 50. Group of Four Foth Derby Cameras. Including three strut cameras and one folding camera. Lot 51. 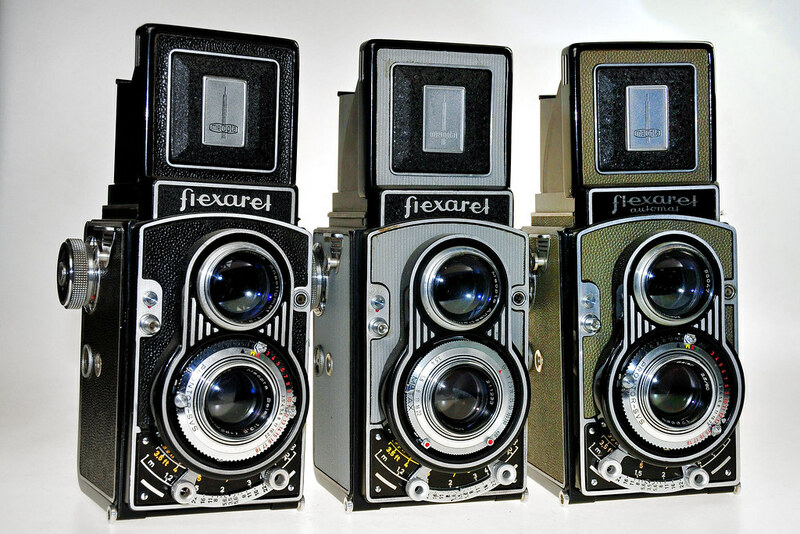 Group of Three Ihagee Kamerawerk Cameras Manufactured in Dresden, Germany including Folding Reflex, Paff and Patent Klapp Reflex. Provenance: The Kaprelian Camera Collection, Philadelphia, PA. Lot 52. Group of Seven Assorted Folding Cameras from Various Manufacturers including Pontaic, Lumiere, Hüttig, two ICA and two unknown. Provenance: The Kaprelian Camera Collection, Philadelphia, PA. Lot 53. Group of Four Ansco Folding Roll Film Box Cameras, Manufactured in Binghamton, NY. Including Buster Brown Folding 3A, No. 4 and two unknown. Provenance: The Kaprelian Camera Collection, Philadelphia, PA. Lot 54. Pair of 5 X 7 Folding Box View Cameras. Including Anthony & Scovill, Manufactured in USA with Gundlach Convert Lens (Black covering is missing on the back surface of the outer case.) and one unknown with Betax No. 2 Wollensak Lens. Provenance: The Kaprelian Camera Collection, Philadelphia, PA. Manufactured in Dresden, Germany and an unknown with f/4.5 Tessar Lens. ICA Nixe 555 (Serial No. J69356), ICA Icarette (Serial No. L15436), Orionwerk (Serial No. 161481). Lot 57. 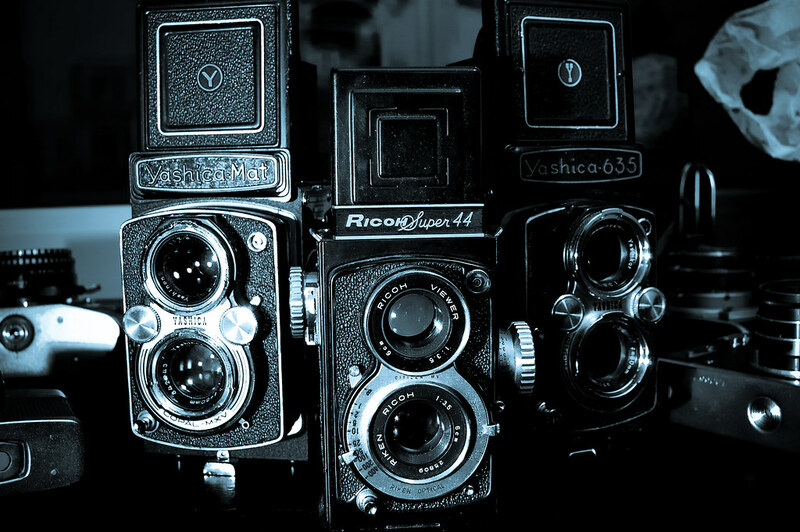 Group of Three Early Panorama Cameras. Including No. 1 Panoram-Kodak, No. 1 Panoram-Kodak Model D. Manufactured in Rochester, NY. and a Multiscope & Film Co. Al-Vista. Manufactured in Burlington, WI. Ricoh 126-C as well as a Ricoh Color Back 225. Provenance: The Kaprelian Camera Collection, Philadelphia, PA. Lot 59. Group of Eighteen Minolta Cameras. Manufactured in Japan. Various Models Including Clear Body Autopak 500 Demonstration Model, Autopak: 500, 550, 600-X, 700 (using 126 Cartridge Film), 450E Pocket, 70 Pocket with Original Box, 110 Zoom SLR, (Using 110 Cartridge Film), AF Freedom III, Electro Shot, A L, A5, V2, 7S, XG1 (Body only) Highmatic E (2), Highmatic F (Using 35mm Film). Provenance: The Kaprelian Camera Collection, Philadelphia, PA. Lot 60. Group of 6 Folding Roll-Film Cameras from Various Manufacturers. Including Gundlach Pixie, Manufactured in Rochester, NY, Power-X, Manufactured in Germany, Adina, and three unknown. Lot 61. Group of Four Rochester Optical Company Folding Plate Cameras including Premo D, Premo A (Leather cover has been removed), Reko and Premo D. Provenance: The Kaprelian Camera Collection, Philadelphia, PA. Lot 62. Group of Three Folding Cameras from Various Manufacturers. Including Ensign Simplex-Auto 34A, Ensign Seotor II, (Roll-Film) Manufactured by Houghtons, Ltd., London, GB, and an unknown (3 x 4) Plate . Provenance: The Kaprelian Camera Collection, Philadelphia, PA. Lot 63. Group of Fourteen Twin-Lens Reflex Cameras from Various Manufacturers. Including Towerflex, Walzflex, Pearl River, Dorimaflex, Kenflex, Firstflex (2), Yashica-E, Yashica-Mat, Yashica-Mat LM, Yashica-635, (All 6 X 6 Format), Sawyer’s Mark IV, Yashica-44 (2) (All 4 X 4 Format). Provenance: The Kaprelian Camera Collection, Philadelphia, PA. Lot 64. Group of Six Japanese Metal Body 35mm Cameras. Including Pax Jr, Pax M3 No. 89235, Pax No. 10107, Ranger 35 No. 1860, Soligor 45 No. 2596 and Soligor 45.
and Mamiya U. Provenance: The Kaprelian Camera Collection, Philadelphia, PA. Lot 66. Group of Sixteen Canon 35mm Cameras. Various models including 110ED, demi EE17, Sure Shot AF, Super Sure Shot AF35ML (with box), Sprint AF, Two Dial 35s, Dial Rapid, Canonet, Canonet: QL19 G-III, QL19E, QL25, 28, 28, Two Bell & Howell Canonet 28. Provenance: The Kaprelian Camera Collection, Philadelphia, PA. Lot 67. Group of Sixteen Petri 35mm Cameras Manufactured by the Kuribayashi Camera Industry, Co. in Japan. Including Petri F1.9, +F1.9, F2.8. Petri 7, 7S (2), Hi-Lite, Racer, 35, Color 35, Color 35 E, Penta (Body only), FT 1000 (with extra 55mm, F1.8 lens), U VI, Flex V, DeJur Petri Compact (with Original Box). Lot 68. Group of 18 Japanese Yashica Cameras. Various models including Yashica Mimy, Lynx-14, Yashica 1c Lynx-14E, EZ-matic 4, Electro 35, TL-Electro, Electro Half, Electro 35 GS, Mimy with gray covering, Yashica-16EE, Electro 35 GSN, FRII, J-3, (2) Flash-O-Set, EE, M-II, TL-Super with No Lens in Bad Condition. Provenance: The Kaprelian Camera Collection, Philadelphia, PA. Lot 69. Group of Seven Japanese 35mm Cameras and One Folding 120 Roll-Film Camera. Various Models Including Lord IIA, 5-D, IV B Manufactured by Okaya Optic in Japan, and Fujica 35-SE, V 5, Fujicarex II, Fujica Drive, Super Fujica-6 (120 Film) Manufactured by Fuji Photo Film Co. LTD, in Japan. Lot 70. Group of Six Kowa 35mm SLR Cameras, manufactured in Japan. Various models including (3) Kowa SE, SET and (2) Model E. Provenance: The Kaprelian Camera Collection, Philadelphia, PA. Lot 71. Group of 6 Ricoh Cameras Manufactured in Japan. Various Models Including Ricoh Five One Nine, Ricolet, Singlex TLS with no lens, Ricoh 35 De Luxe, Ricoh 500 and Super Shot Electronic. Manufactured by the Vive Camera Co. Chicago, IL circa 1897, Kodak # 2 circa 1889, Kodak Bull’s Eye # 4 Model C circa 1897), Manufactured by the Eastman Kodak Co., Rochester, NY and two unknown. Lot 73. Group of Four 1890s Box Cameras from Various Manufacturers. Including Delmar by Sears circa 1895, No. 4 Kodak by Eastman Kodak in Rochester circa 1892, Puck Special by Sweet, Wallach & Co. in Chicago circa 1897 and Vive No. 1 by Vive Camera Company in Chicago circa 1897. Provenance: The Kaprelian Camera Collection, Philadelphia, PA. Lot 74. Pair of Early Folding Plate Cameras from Various Manufacturers. Including Bullard (3 X 4) Manufactured by The Bullard Camera Co., Springfield, MA and Wizard Sr. (4 X 5) Manufactured by the Manhattan Optical Co., NY. Provenance: The Kaprelian Camera Collection, Philadelphia, PA. Lot 75. 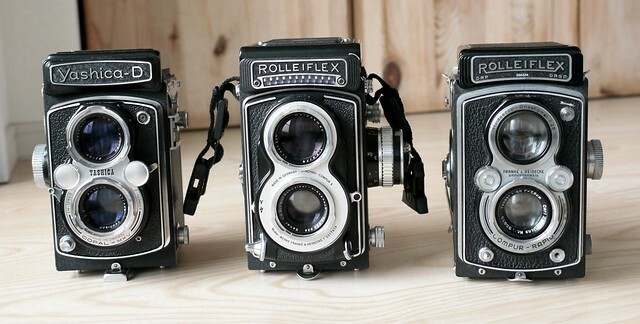 Group of Three Folding Plate Cameras from Various Manufacturers. Assorted models including Chelsea with Unicum Shutter by Rochester Optical Co. Serial No. 76647, Conley with Wollensak Shutter by Conley Camera Co. of Rochester, Minnesota Serial No. 129 and Poco C by Rochester Optical Co. Serial No. 7237. Lot 76. Group of Thirty-Two 35mm Cameras from Various Manufacturers. Including Walz 35, Halix 35 X Super, Hobix, Monte 35, Chinon (unknown model with 38mm, F2.7 lens), Toyoca 35-S, Emi K 35, Fujita Classic IV, Kalimar (unknown model with 45mm, f2.8 Talkor lens), Kalimar A, Kalimat 35, Windsor, Viceroy Auto 35, Lacon, Mansfield Skylark, Mansfield Eye-tronic, Rondo Rondomatic, Rival, Meisupii Half, Beauty Beuamat, Westomat 35, Westomat 35 Super, Amica Eyelux, Neoca 35-K, Taron JL, Taron VIC, Taron Auto-EL, Taron Robin Super LM, Taron VL (lens is defective), Taron MX, Cavalier “EE” Auto 35, Miranda Sensoret. Provenance: The Kaprelian Camera Collection, Philadelphia, PA. Lot 77. Group of 13 Metal Body 35mm Cameras from Various Manufacturers. Assorted Models Including Wirgin 19E, Konair Ruby by Pax, Fodor 35 No. 48324, Tower, Pigeon No. 28181, Pigeon No. 17144, Pigeon No 23725, Pigeon No. 41577, Samoca 35 II, Samoca 35 III, Samoca Super Rangefinder, Samoca 35 Model LE and Samoca 35 Model M-35. Provenance: The Kaprelian Camera Collection, Philadelphia, PA. Lot 78. Group of 5 Folding Strut Cameras by Various Manufacturers. Assorted Models Including Minimum-Palmos D.G.M., Ansco V.P. Model A, Ansco with Actus Shutter and Two Unknown Cameras. Lot 79. Group of 12 Agfa, Ansco and Balda Cameras. Various models including Ansco Memo II, Ansco Speedex, Ansco Super Regent, Ansco Autoset, Ansco Super Memar, Agfa Silette SL, Agfa Optima, Agfa Super Solina, Agfa Karat 36 (Serial No. ZC 2900), Agfa Karat (Serial No. RS 4437), Agfa Karat (Serial No. RE 6598), Balda Super Balda Matic I. Lot 80. Group of 17 Cameras from Various Manufacturers. Various Models including Okako Waltax, SOW Semi Leotax, Waltax Junior, KSK Kigawa, Mihama, Kiko Semi, Zenobia, Welmy-35, Welmy 6, Mihama Model-II, Carl-6 Model II, Kigawa 3 Kogaku, Welmy 6×6, Frank Six Model I, Turf and B&J No. 3A Folding Ingento Model 2. Lot 81. Large Group of 15 Cameras from Various Manufacturers. Assorted Models including (3) Life O Rama III, Ansco Titan, Semi Prince, Gauthier, Unknown ICA, Coronet, Kern Aarav, Ansco / Wollensak Folding strut camera, Minetta, Photo Plait Studiolette, (No Lens or shutter) , Balda Juwella and an Unknown Ernemann. Lot 82. Group of 10 Zeiss Ikon Cameras. Various Models including Zeiss Ideal Folding Plate Camera (Serial No R30029) with Kalart Range Finder, Super Ikonta, Nettar, Nettax, Contaflex, (2) Ikonta, Ikonta 35mm, Colora and Nettar 515. Lot 83. Group of 10 Kamera Werkstätten Guthe & Thorsch ( KW ) Cameras Manufactured in Germany. Various Models Including Praktisix II with Case, Praktisix II A with Case, Pilot 6, (2) Prakti, (5) Folding Plate Cameras as well as an additional Praktisix Viewfinder. Lot 85. Group of 6 Ross Ensign Cameras Manufactured in England. Various Models Including Multex (Serial No. H21568), Selfix 12-20 (Serial No. K8465), Commando (Serial No. C4599), All Distance Pocket Ensign, Auto-Range (Serial No. H776) with Prontor II Lens and Auto-Range (Serial No. H23071) with Compur Lens. Provenance: The Kaprelian Camera Collection, Philadelphia, PA. Lot 86. 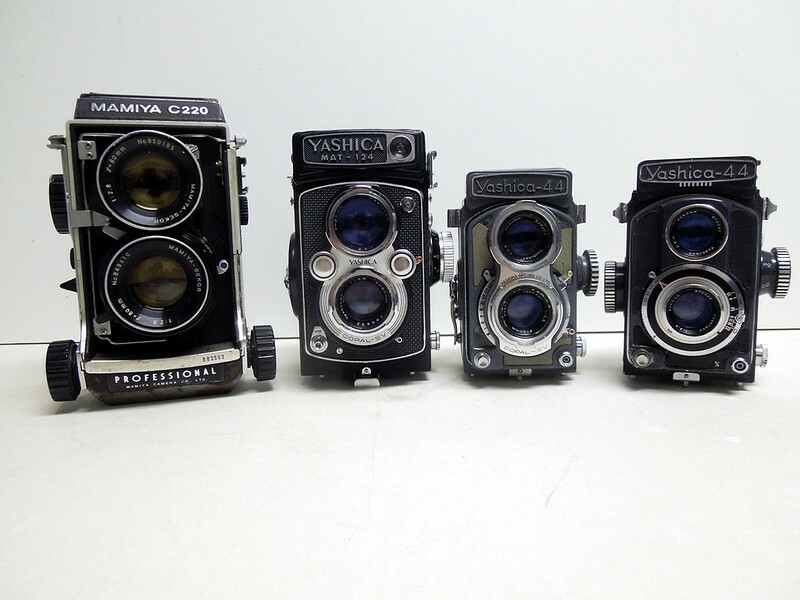 Group of Four Box Plate Cameras (Three Graflex, One Unknown) and a Graflex PhotoRecord ID Camera. Including Compact Graflex (5 X 7) SLR (No lens, no back cover plate), R B (Revolving Back) Tele Graflex (3-1/4 X 4-1/4), Graflex Series B (4 X 5), ( Manufactured in Rochester, NY) and One Unknown (3 X 4), (No lens, no back cover plate). Provenance: The Kaprelian Camera Collection, Philadelphia, PA. Lot 87. Group of 4 Cameras from Various Manufacturers. Various Models Including Seneca Folding Scout 2A, Palmos 457 with Zeiss Lens (no back), Folding Reflex Camera Co. Camera, Unknown Box Camera with no Lens. Lot 88. Group of 7 British Made Roll Film Cameras from Various Manufacturers. Various Models Including Butcher’s No. 6 Watch Pocket Camera (Copper) with no Lens, Ilford Advocate, Coronet Folding Camera, Envoy Wide Angle Camera Serial No.3560, Agilux Agimatic, Agilux Agima and Agilux Agifold. Lot 90. Group of Four Early Plate Cameras from Various Manufacturers. Including 3-1/4 X 4-1/4 Plate from Western Camera Mfg. Co., Chicago, IL (Bellows detached from front lens mount, back plate is loose. ), Cycle Poco No.1, Cycle Poco No 3, 3-1/4 X 4-1/4 Plate from Rochester Camera Co, Rochester, NY, and Graphic R B, 5 X 7 Plate from Folmer & Schwing Mfg. Co, New York, NY. Lot 91. Large Group of 27 Cameras from Various Russian and German Manufacturers. Various Models Including (2) Cosmic 35, SMENA 8M, LOMO 135 BC, Zorki-4 rangefinder by KMZ, Zenit-E SLR, Kosmos, Kalimar SR200 SLR, Zenit-B SLR with 135mm Lens, Agat 18k with original box and instructions, King Regula Cita rangefinder, King Regula III bk auto, (2) King Regula Sprint, King Regula Sprint with case and flash, Cocon Artomat, AK8 Movie Camera and Kompendium Accessory, King Regula, Fed 4, Kiev 4, Zorki No. 370703, Zorki No.5554978, Kiev No. 6415601, Zorki-4 No. 68653957, FED 2, Chaika, ECRAN 8mm Movie Camera, as well as 2 unknown manufacturers. Lot 92. Group of Four Cameras by Various Manufacturers. Various Models including Special Cycle Montauk by G. Gennert in New York, Unknown Folding Plate Camera with B&L Shutter, Kewpie No. 2A by Conley Camera Co. in Rochester Minn. and an unknown Box Plate Camera. Lot 93. Group of Four Folding Cameras Manufactured by Seneca Camera Mfg. Co, Rochester, NY. Including Seneca Trio Vest Pocket (2), Seneca Folding No. 3A, (All Roll Film) and Seneca Uno Folding Plate Camera (3-1/4 X 4-1/4 Plate) (Clamp that holds bellows out on the rail is broken). Lot 94. Group of Three Zeiss Ikon Contina 35mm Roll Film Cameras, Made in Germany. Lot 95. Group of Four Folding Roll-Film Cameras Manufacturered by Konishiroku (Konica) in Japan. Including Pearl I, Semi-Pearl (2) (all 120 film), Pearlette (127 film). Lot 96. Group of 10 Cameras by Various Manufacturers. Including Rajar No. 6 Folding Strut Roll Film Camera, Spartaflex Twin Lens Reflex, Unknown German Made Twin Lens Reflex, Vokar, AGFA B2 Shur-Flash, Anscoflex Twin Lens Reflex, Ansco Vest Pocket No. 0, Seagull 203 Folding Roll Film Camera, Tower 35mm Camera and Falcon by Utility MFG Co. in NY. Lot 97. Group of 8 Camera from Various Manufacturers including Six Folding Roll-Film Cameras, One Folding Plate Camera and One 5 X 7 View Camera. Including Agfa Standard 208 (9 X 12 cm) Folding Plate Camera, Agfa No 1 A Readyset Special, Both Manufactured by the AGFA in Munich, Germany, Ansco No. 4 (3-1/4 X4-1/4), No. 1 Junior (2-1/4 X 3-1/4) with Original Box and Instruction Booklet, No. 1 A Automatic, No. 3 A (18 A or B Film) (Outer casing on back is missing. ), All Manufactured by Ansco, Binghampton, NY, Viking Readyset Manufactured by AGFA, Munich, Germany for Ansco, and AGFA/Ansco View Camera (5 X 7)with Aerostigmat 1:4.5 f.=2.5 cm Officine Galileo Lens. Provenance: The Kaprelian Camera Collection, Philadelphia, PA. Lot 98. Group of 12 Agfa and Ansco Cameras. Various Models including Agfa Karat Serial No. BN3660, Agfa Karat Serial No. N736, Agfa Karat Serial No. QH2583, Agfa Karat 36 Serial No.UG5339, Agfa Karat DA2058, Agfa Karat Serial No. HR7293, Agfa Optima III S, Agfa Optima I, Agfa Silette, Agfa/Ansco Super Memar, Agfa Printor 250 S, and Anscoflex TLR in leather case. Lot 99. Group of Six Movie Cameras Manufactured by Yashica, Japan. Including (2) Sequelle, (2) 8-E III with Three Lens Turret , Super-8 50, Auto Loading Power Zoom 8 U L.
Lot 100. Group of Eight Eumig Movie Cameras. Various Models Including (2) Eumig Electric, Eumig Unilectric, One Unknown Black Body Eumig, Eumig C4, Eumig C8, Eumig C8, C3M Ultimatic with Box of Filters and Handle. Lot 101. Lot 101. Group of Eight Movie Cameras from Various Manufacturers. Including Fujica Single 8 Z600, Fujica Single 8 P 1, Vernon Model 18/28, Kalimar TV-Zoom, Fujita-Eight, GAF Anscomatic Super Eight Cartridge S/82,GAF XL 125 and GAF 100A. Lot 102. Group of 13 Konica Cameras. Various Models Including Konica C35EFP, Konilette 35, (2) Konica C35 MF, Konica EEmatic, Konica 261 Auto S, Konica FTA, Sakura Pak 300, U-Mini, Konica 260, Konica EE-Matic Deluxe F and Konica S II with leather Case and Original Box. Lot 103. Group of Three Konica 35mm Cameras. Konica FT-1 Motor Body in original box (Serial No. 463642), Konica FS-1 Body in original box (Serial No. 211368), Konica FS-1 with 40mm f/1.8 lens & camera case with original box (Serial No. 130863). Lot 104. Group of Twenty-One Movie Cameras from Various Manufacturers. Including Unilectra, Manufactured by Eumig in Austria (Cover to battery compartment is damaged. ), Bell & Howell Electric Eye, Rondo Cinematic 8, Wollensak with Triple Lens Turret, Alpex-8 from Allied Impex Corp., Japan, Tower from Sears, Roebuck and Co, USA, Silver 8 (Manufacturer unknown, Front nameplate is missing. ), Revere Eye-matic Power- Zoom Model 118, Revere Eye-matic Cine-Zoom Model 114, Revere Model 88 with Leather Carrying Case, Revere 8 Model 40, Revere Eight Model Fifty, Revere 8 Model 44, All Manufactured by Revere Camera Co, Chicago, IL, Bauer Mini- S, Bauer Star XL,Bauer C-3 Super, Bauer C-2 A Super, Manufactured by Bauer, Germany, Crown 8 Model 501 EE Reflex Zoom, Crown 8 Model E 3 B, Manufactured by Crown Optical Co.,Japan, Cinemax-8 Triauto with Triple Lens Turret, Cinemax-8 H High Auto, Manufactured in Japan. Lot 105. Group of Three Konica 35mm Cameras. Various models including Konica FTA with f/1.4 Hexanon Lens in original box (Serial No. 905023), Konica FS-1 Body in original box (Serial No. 141644), Konica FS-1 with 40mm f/1.8 lens in camera case. Lot 106. Group of 6 Cameras Manufactured by Konica, Japan. Including Five 35mm Rangefinder Cameras, Model No. I, II, II A, III, III A and Konica 261 Auto S (126 Cartridge) (Battery compartment cover is missing). Lot 107. Group of Konica Lenses and accessories. Various Models Including Konica Hexanon AR 200mm f/3.5 with Leather Case and in original box, Konica Hexanon AR 28mm f/3.5 with Lens Hood (24mm) both in Leather Cases and in original box, Konica UC Zoom Hexanon AR 45-100mm f/3.5 Automatic with Canon 55mm Sky 1-A filter attached in Leather Case and in original box, Konica Hexanon AR 550mm f/1.8 Lens in original box, (2) X-24 Auto Electronic Flashes in original Boxes, Auto Tele Converter 3X for Konica FTA EE, 55mm Lens Hood, (4) 55mm Filters , Konica Lens Hood in Leather Case. Lot 108. Group of 2 Movie Cameras and Accessories. Including Beaulieu Automatic with P. Angenieux-zoomType 8 x 6.5 B, F.6.5 -52mm. 1:1.8 Lens, and Beaulieu 4008 ZM II with Optivaron 1.8/6-66 Schneider- Kreuznach Lens. Accessories include Leather Carrying Case, AC Charger, Battery Type 6 VB 50 7.2 Volts, Separate Battery Container S 4008, Power Cord, Battery Pack S 4008-250 MA, Dummy Socket S 4008, AC Power Converter for Beaulieu 4008, 5008 and R-16 Cameras, and Special Beaulieu Optivaron 6-66 Banc Macro 4008 ZM in Original Box. Manufactured by the Victor Animatographic Corporation in Davenport, IA. Lot 109. Group of 6 Movie Cameras from Various Manufacturers. Including Cellule Reflex 8 with Camex Handle Manufactured by Erscam SA in France, Movikon 8 (circa 1952), Movinette 8 B (circa 1959), Movikon K, Electronic with Leather Case, Kinamo, All Manufactured by Zeiss Ikon, Germany. Lot 110. Group of 5 Agfa Movie Cameras. Various Models. Including (2) Movex 8, (3) Unknown Agfa Black Movie Cameras. Lot 111. Group of 9 Movie Cameras from Various Manufacturers. Including Bauer 88 B Manufactured by Eugen Bauer GmbH, Germany, Keystone 8mm Magazine Camera Model K-40, Riviera K-45, Bel Air K-41 ND, Olympia LR, Sensitron Reflex Zoom K-622, Americana K-774, K-27 G with Triple Turret Lens, Reflex Auto Zoom (Front nameplate is missing. ), All Manufactured by Keystone Camera Co, Boston, MA. Lot 112. Group of 12 Movie Cameras from Various Manufacturers. Including Nikon 8X Super Zoom, Hanimex Loadmatic M100, GAF SC/92, Yashica Super-60 Electronic, Emdeko Super 8 EM-8000, Minolta Zoom 8, Sankyo EM-30XL, Argus M3 with Triple Lens Turret, Argus Model 801, Argus Model 802, Argus (unknown model), Fujica 8 Zoom Deluxe with Leather Carrying Case. Lot 113. Group of 11 Kodak Folding Roll-Film Cameras. Various Models Manufactured by Eastman Kodak Co. in Rochester, NY. Provenance: The Kaprelian Camera Collection, Philadelphia, PA. Lot 114. Group of 10 Kodak Folding Cameras. Various Models Manufactured by Eastman Kodak Co. of Rochester, NY. Including No. 2 Hawk-Eye Model B, No. 2 Folding Autographic Brownie, No. 1A Autographic Kodak JR., No. 1A Pocket Kodak Special, No. 3 Folding Pocket Kodak Model A, No 3 Cartridge Model E, three No. 3A Autographic Kodak Model C, No. 3A Autographic Kodak Special Model B. Lot 115. Group of 9 Kodak Folding Roll Film Cameras. Various Models Manufactured by Eastman Kodak Co. of Rochester, NY. Lot 116. Group of 3 Kodak Cameras. Various Models Including No. 1 Kodak Enlarging Camera, No. 4 Folding Hawk-Eye and an Early Folding Box Camera. Manufactured by Eastman Kodak Co. of Rochester, NY. Lot 117. Group of 10 Kodak Cameras. Various Models including Including Five Folding Roll-Film Cameras and Five Folding Plate Cameras Manufactured by Eastman Kodak Co., Rochester, NY. Lot 118. Group of 11 Kodak Folding Roll Film Cameras. Various Models Manufactured by Eastman Kodak Co., Rochester, NY. Lot 119. Group of 8 Kodak Cameras. Various Models including No. 1A Autographic Kodak Jr., No. 1A Autographic Kodak, No 2C Pocket Kodak, three No 1A Kodak JR.’s and a Vest Pocket Kodak. Manufactured by Eastman Kodak Co. of Rochester, NY. Lot 120. Group of 10 Kodak Cameras. Various Models including 3 Brownie Box Cameras and 7 Folding Roll Film Cameras. Manufactured by Eastman Kodak in Rochester, NY. Lot 121. Group of 9 Folding Kodak Cameras. Various Models Manufactured by Eastman Kodak Co. of Rochester, NY. Including Three Pocket Vest Roll-Film,Two Roll-Film, Four Plate-Film Cameras. Lot 122. Group of 9 Kodak Cameras, 4 Folding and 5 Box. Various Models Including No. 2 Bullet ’96 Model, No. 2 Flexo Kodak, No 2. Bulls-Eye Kodak, No. 3 Brownie, No. 2 Brownie, No. 2A Folding Hawk-Eye Model B, No. 1A Autographic Kodak JR, two No. 1A Kodak JR.’s. Lot 123. Group of 5 Kodak Folding Cameras. Various Models Including No. 4 Folding Hawk-eye #3, No. 3A Folding Brownie, (2) No. 2 Pocket Folding Brownie and No. 2A Pocket Folding Brownie Manufactured by Eastman Kodak Co., Rochester, NY. Lot 124. Group of 9 Kodak Folding Cameras. Various Models Manufactured by Eastman Kodak Co. of Rochester, NY. Lot 125. Group of 11 8mm Movie Cameras Manufactured by Eastman Kodak Co. in Rochester, NY. Various Models Including Electric 8, Zoom 8 Automatic, Instamatic M-14, Instamatic M-4, Hawkeye 8, Brownie FunSaver, Brownie Camera II, Brownie Triple Lens Turret, Brownie Double Lens Turett with a Holiday Cine Meter, Brownie Automatic and Brownie (Unknown Model). Lot 126. Group of 12 Movie Cameras Manufactured by Eastman Kodak Co. of Rochester, NY. Various Models Including (3) Instamatic M4, Brownie 8 Movie Camera, Zoom 8 Automatic, Automatic 8, Medallion 8 Turret, Medallion 8, Brownie Turret, (2) Brownie 8mm Movie Camera II and Brownie Movie Camera 8mm. Lot 127. Group of 6 Kodak Folding Cameras. Various Models Including Tourist I, Tourist II, Vigilant, Junior Six-16 Series II, JR. Six-20 Series III and Vollenda 620. Lot 128. Group of 13 Cameras Manufactured by Eastman Kodak Co. in Rochester, NY. Various Models Including Pony 828, (2) Pony 135, (3) Kodak 35, (2) Signet 35, Signet 50, Signet 80, Instamatic 800, Instamatic 804 and Instamatic X-90. Lot 129. Group of 4 Cameras Manufactured by Eastman Kodak Co. in Rochester, NY. Various Models Including Kodax 35, Kodax 35 RF, Medalist and Chevron. Lot 130. roup of 4 Kodak Bantam Cameras. (3) Kodak Bantam f/4.5 Specials (one with original box) and (1) Kodak Bantam f/8 Kodalinear. Lot 131. Group of 3 Minolta Subminiature Cameras. Various Models including Minolta-16 MG No. 174267, Minolta-16 No. 156757 and Minolta-16 No. 130571 with leather hand strap. Provenance: The Kaprelian Camera Collection, Philadelphia, PA. Lot 132. Group of 5 Perfex Cameras. Various Models including Perfex de Luxe, Perfex Thirty-Three and (3) Perfex Fifty-Five. Manufactured by Camera Corp. of America in Chicago, IL circa 1940’s. Lot 133. Group of 5 Perfex Cameras. Various Models including Perfex One-O-One, Perfex One-O-Two, Perfex Fourty-Four, Perfex Twenty-Two and Perfex Fifty-Five. Manufactured by Camera Corp. of America in Chicago, IL circa 1940’s. Lot 134. Group of 4 Kodak Cameras. Various Models Including (2) Kodak 35, Medalist I and Medalist II. Lot 135. Group of 4 Film Cameras. Various Models including Webster Winpro 35, Webster Winpro Alphax JR, Universal Buccaneer and Regal Reflex. Lot 136. Group of 3 Cameras Manufactured by Eastman Kodak Co. of Rochester, NY. Various Models including Kodak Stereo Camera No. 021872, Kodak Bantam RF No. 054031 and Kodak Rainbow Hawk-Eye No. 2 Folding Model B No. 811344. Lot 137. Group of 3 Kodak Twin-Lens Reflex Cameras. Various Models including (2) Kodak Reflex and a Kodak Duaflex III. Lot 138. Large Group of 23 Kodak Cameras. Various Models including Instamatic 700, Hawkeye Instamatic R4, Instamatic X-45, Instamatic 124, Disc 4000, Instamatic 314, Instamatic S-20, (2) Instamatic 304, Instamatic 100, (2) Pony 135, Instamatic 104, (2) Pony 828, Instamatic X-35, Instamatic 414, Pony 135 Model C, Motormatic 35F, Kodak Automatic 35 Camera, Signet 30, Instamatic S-20 and Pocket Instamatic 60. Lot 139. Group of 20 Cameras Manufactured by Eastman Kodak Co. in Rochester, NY. Various Models Including Kodak Automatic 35 with partial carrying case, Motormatic 35, Signet 50, Pony II (circa 1957), Pony I 35, Pony 828, Hawkeye Instamatic, Hawkeye Instamatic II, Instamatic 100, 150, 154, 174, 300, 304, 400, 404, 414, 44, X-24 and Electralite 10. Lot 140. Group of 4 Kodak Retina Cameras. Various Models Including Retinette No. 355510, Retina II Type 011 No. 137102 (Black body covering is missing on front right side), Retina Automatic III No. EK846164, Retina Reflex S No. 64326. Lot 141. Group of 5 Kodak Cameras. Various Models Including Retina IIa No. 313945K, Duo Six-20 Series II No. 194136K, Retina II No. 119030 Made in Germany, Retina II No. 112349 Made in Germany and Retina II No. 66722K Made in Germany. Lot 142. Group of 4 Kodak Retina Cameras Made in Germany. Various Models Including Retina II No. 127886, Retina I No. 162403, Retina Automatic III No. EK829990 and Retina Reflex No. R995950. Lot 143. Group of 3 Kodak Cameras Made in Germany. Various Models Including Retina Reflex S No. EK815387, Retina II F No. 63165 and Retinette No. 952012. Lot 144. Group of 5 Kodak Retina Cameras Manufactured in Germany. Retina II No. 67543K, Retina II No. 114018, Retina IB No. 468883, Retina Ia No. 701163 and Retina IIIC No. 90765. Provenance: The Kaprelian Camera Collection, Philadelphia, PA. Lot 145. Group of 3 Kodak Cameras. Various Models Including Retinette Type 147 No. 325409K, Retinette Type 147 No. 358779K and Vollenda No. 956113 Made in Germany. Lot 146. Pair of Kodak Cameras. Various Models Including Retina I No. 196184K and Kodak Six-20 Duo No. 884464 Made in Germany. Lot 147. Group of 6 Kodak Cameras Made in Germany. Various Models Including Retinette I A No. EK840606, Retinette I B No. 476492, Retina Reflex III No. EK807503, Retina IV No. EK714829, Instamatic Reflex and Instamatic 133. Lot 148. Group of 5 Kodak Cameras. Various Models Including Kodak Retina No. 316948K, Kodak Retina I No. 212197 Made in Germany (bellows detached), Kodak Retina I No. 150103 Made in Germany (bellows detached), Kodak Retina I No. 82489 Made in Germany and Kodak Retina No. 296584 Made in Germany. Lot 149. Group of 5 Folding Cameras. Various Models Including Junior 620 No. 222672A made in Germany, Regent No. 730847 made in Germany, Unknown Folding Camera No. 8268Z, Vigilant Six-20 with leather case, Wrigin body with Kodak f4.5 Compur Lens andShutter. Lot 150. 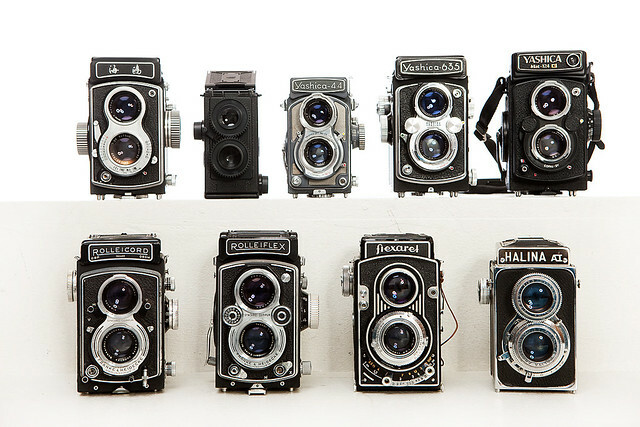 Group of 21 Cameras (Including Bakelite). Various Models Including (2) Bolseyflex , Ansco Cadet Reflex, (2) Pho-tak Traveler 120 , Sears Roebuck Tower One Twenty, Agfa Chief, Kalimar 44, Kodak Brownie Hawkeye, (2) Kodak Brownie Bullet, Kodak Holiday, Kodak Baby Brownie Special, Kodak 127, Kodak Super 127, Kodak Fiesta, Kodak Fiesta R 4, Kodak Starflash, Kodak Starmatic II, Kodak Starmite and Kodak Flash 20. Lot 151. Group of 6 Kodak Retina Cameras Made in Germany. Various Models Including Retina IIa No. 515383, Retina IIIc No. EK622981, Retina IIc No. 694266, Kodak Retina IIIc No. EK571888, Retina II No. 958339 and Retina II No. 287937. Provenance: The Kaprelian Camera Collection, Philadelphia, PA. Lot 152. Group of 3 Folding Cameras. Various Models Including Cycle Montauk I, Premoette I-A and an unknown Kodak (No Lens). Lot 153. Group of 7 Kodak Cameras. Various Models Including Instamatic 104, Instamatic 124 with Carrying Case, Flashcube and Instruction Booklet, Instamatic 134 with Original Box, Flashcube, and Instruction Booklet, Instamatic 804 with Hard Plastic Carrying Case, Instamatic X-15F, Instamatic X-30, Disc 4000 Transparent Demonstration Model in Original Display Case. Provenance: The Kaprelian Camera Collection, Philadelphia, PA. Lot 154. Group of Kodak Plastic Cameras (including Bakelite). Various Models Including Flashfun Hawkeye, Flashfun II Hawkeye, Duaflex II, Brownie Starflash, Brownie Bull’s-Eye, Brownie Reflex Synchro Model, Brownie Hawkeye Camera Flash Model, Brownie 44a. Lot 155. Group of 12 Kodak Instant Cameras. Various Models Including The Handle Transparent Demonstration Model, The Handle (2) One with Nissin FiH Electronic Flash, Trimprint 920, Kodamatic Champ, Colorburst 100 Transparent Demonstration Model, Colorburst 100, Colorburst 252 (2) Front Nameplate is Missing on One, EK4, EK6 in Original Box with Instruction Booklet , EK8 Transparent Demonstration Model. Lot 156. Group of 9 Plastic Cameras (Including Bakelite). Various Models Including Clix-O-Flex, Fex Superior, Kodak Baby Brownie Special, Univex Twinflex, SnapShooter, ADi Action Tracker, StellarFlex, Kodak Brownie 127 Camera (Made in England) and Orizont Amator with original box (Made in Romania). Lot 157. Group of 4 Iloca Cameras. Various Models. Including Iloca Stereo Rapid, Iloca IIa and (2) Iloca Ia. Manufactured in Germany. Provenance: The Kaprelian Camera Collection, Philadelphia, PA. Lot 158. Group of 29 Instant Cameras and Accessories. Various Models. Including 25 Polaroid (includes 8 SX-70 ), 3 Keystone, and 1 Fuji. Lot 159. Group of 3 Cameras. Various Manufacturers. Including Gelto D III Japanese Camera with Leather Case, Zeiss Ikon Contaflex Serial No. E6718 and Clarus Model MS-35. Provenance: The Kaprelian Camera Collection, Philadelphia, PA. Lot 160. Group of 4 Kodak Motion Picture Cameras. Including Magazine Ciné-Kodak Eight-90, Ciné-Kodak Reliant Camera, (2) Ciné- Kodak Magazine 8 (1 with Kodak Anastigmat f2.7 63mm Lens). Lot 161. Group of 13 Bell & Howell Motion Picture Cameras, Various Models. Lot 162.Group of 12 Bell & Howell Motion Picture Cameras, Various Models. Provenance: The Kaprelian CameraCollection, Philadelphia, PA. Lot 163. Group of 7 35mm Cameras Manufactured in Germany. Various Models. Including Wittnauer Adventurer, Wittnauer Continental, Hapo 24, Ruthine Ruthine, Wetzlar Infra, Birnbaum Rumburk Doxa and Unknown Manufacturer Classic 35. Manufactured in Germany. Lot 164. Group of 20 Instant Load 127 Cartridge Cameras. Various Manufacturers. Including Keystone, Tower, Braun, Argus, Bell & Howell, Sears, Revere, Halina, Imperial, Tech and Goldcrest. Lot 165. Group of 3 Combination Camera/Radios, Various Models Including Kowa Ramera (Blue), Yumeka R-5 with earpiece, Amico (Radio Only). Provenance: The Kaprelian Camera Collection, Philadelphia, PA. Lot 166. Group of 19 35mm Cameras. Various Manufacturers. Including Graflex Graphic 35 Electric, Olympus LT Zoom 105, Braun, Konica, Canon, Pentax, Vivitar, Keystone and Unknown Models. Lot 167. Group of 9 Cameras. Various Manufacturers. Including Dacora Super Dignette E-B 500 LK, (2) Dacora Royal, (2) Dacora-matic 4D, Dacora Promatic-F (127 Cartridge Film), DeJUR D-1, Rectamat Unknown Manufacturer and O G A Unknown Model. Lot 168. TeleSor Reflex M C 1:8 f=500mm Lens (Serial No. 801890). Includes Leather Carrying Case. Manufactured in Japan. Lot 169. Group of 7 Lenses. Various Manufacturers. Including Night Vision Quartz Super Wide AF Macro 0.42x Lens with Carrying Case, Konica Hexanon AR 40mm f/1.8 Lens, Sankyo Koki Komura 200mm 1:3.5 with Leather Carrying Case, Star-d Automatic Tele-converter 2 X for Konica with Carrying Case, Kalimar Auto-power MC Zoom 80-205mm f/3.8 Lens, (2) Tokyo Kogaku RE-Auto-Topcor 58mm f/1.8 Lenses. All Manufactured in Japan. Lot 170. Group of 3 Leather Carrying Cases Including Omnica I. Lot 171. Group of 3 Carl Zeiss Jena Lenses. Including Sonnar 1:4 f=13.5cm Lens (Serial No. 1890221), Triotar 1:4 f=8.5cm (Serial No. 1504524) and Tessar 1:8 f=2.8cm (Serial No. 2391590). Lot 172. Pair of Zeiss Accessories. Including a Carl Zeiss Jena 24 x 36 Rotating Viewfinder (Serial No. 13682) and Zeiss Ikon 433/25 Viewfinder. Lot 173. Group of Zeiss Accessories. Including a Carl Zeiss Jena 24 x 36 Rotating Viewfinder (Serial No. 23586), Zeiss Ikon Lens Shade, Zeiss Ikon Ikoblitz 1316 Flash Unit, Zeiss Ikon Filter Set with 3 Filters (50-25cm, 25-17cm and 17-13cm) in Bakelite Case and Unknown Zeiss Ikon Viewfinder. Lot 174. Speed Graphic 4 X 5 Plate Film Camera (Serial No. 838347). Including Flash Attachment with 2 Reflectors, (3) 4 X 5 Film Holders, Metal Carrying Case (21 X 14 X 9 inches). Manufactured by Graflex, Inc., Rochester, NY.